The year did not end as China’s Fan Zhendong may have wished; a shock quarter-final men’s singles defeat at the Seamaster 2018 ITTF World Tour Grand Finals, when beaten by Brazil’s Hugo Calderano, signalled a premature departure. Now, some four weeks after matters concluded in Incheon, Fan Zhendong is back in action; the top seed, he defends his men’s singles title at the Seamaster 2019 ITTF World Tour Hungarian Open in Budapest. Play commences on Thursday 17th January being preceded by a two day qualification tournament. Defeat in Incheon but on the international scene, it was one of only three such defeats Fan Zhendong experienced in the whole year; the others being at the hands of colleagues. The previous month in Linz he had been beaten in the penultimate round by Liang Jingkun, in early June in Shenzhen in the final, he lost to Ma Long. There is no Ma Long on duty in Budapest but the names of Hugo Calderano and Liang Jingkun both appear; Hugo Calderano is the no.4 seed, behind China’s Xu Xin and Lin Gaoyuan. Liang Jingkun starts his journey in the qualification tournament. Having beaten Fan Zhendong in Linz and progressed to secure the men’s singles title by overcoming Xu Xin, Liang Jingkun is a major title contender for honours; in fact he is one of group of Chinese players on duty in the preliminary stage who could well cause upsets and reach the later rounds. One year ago Wang Chuqin, commenced play in the qualification tournament; he concluded matters as the runner up. Gold medallist some three months ago at the Buenos Aires 2018 Youth Olympic Games, can he emulate Fan Zhendong and make his name quickly known on the senior scene? It is that fact which sets Fan Zhendong apart from his colleagues of the same generation; he won gold at the Nanjing 2014 Youth Olympic Games but more significantly, after being crowned World Junior champion in Hyderabad in 2012, the following year on the ITTF World Tour, when only 16 years old, he succeeded in Poland and in Germany. Fan Zhendong enjoyed success but then rapidly built on that success; his contemporaries who appear on the Budapest entry list have yet to achieve such distinctions. 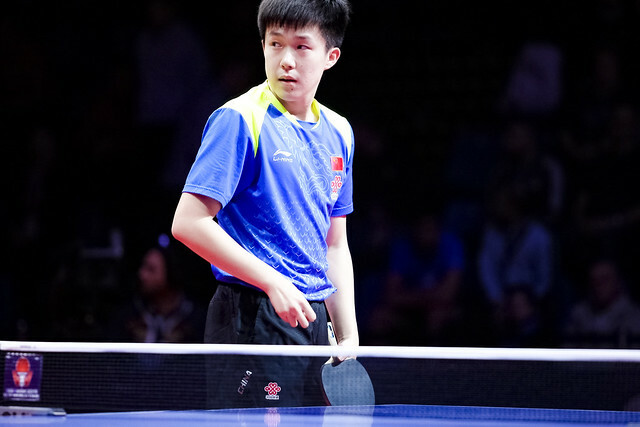 Similar to Liang Jingkun, Fang Bo, Yan An, Yu Ziyang and Zheng Peifeng have all won ITTF World Tour men’s singles title, notably Yan An won in 2017 in Budapest; meanwhile Zhou Yu has been a runner up on three occasions, whilst last year Zhou Qihao reached the penultimate round in Sweden. All are gold medal winners at World Junior Championships; they have enjoyed high profile wins at senior level, achievements of which most would be proud but they have questions to answer in 2019. Can they add their successes and thus assert a place amongst China’s elite. There is no easy answer but it is the feat their peer has achieved, a fact that sets Fan Zhendong apart.